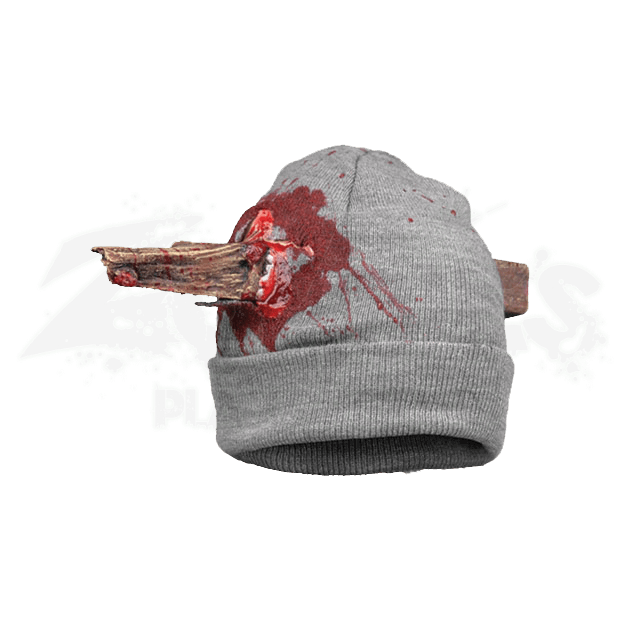 Stakes are normally required to injure or kill a vampire, although, as this Bloody Staked Beanie shows, they are just as effective against other creatures as well, especially when the stake is delivered directly through the head. This impressive piece of horror headwear consists of a simple grey polyester knit beanie hat that, when worn on the head, creates the image of an impressive, gory injury. This hat comes fitted with two latex appliances, one on either side, that give the impression that a rough wooden stake has been stabbed through the skull, leaving one end bloody with signs of torn fabric, shredded skin, and broken bone. This beanie hat is a fantastic choice to wear on Halloween, when its gruesome style will be not only accepted but appreciated. 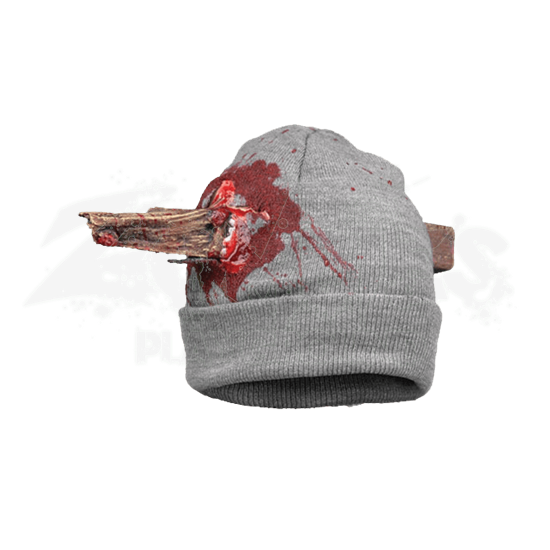 The Bloody Staked Beanie also makes a fantastic addition to any zombie costume that might benefit from the oddly humorous look of having a wooden stake impaled through ones skull.